Knoxville Mayor Madeline Rogero on Wednesday unveiled her proposed budget, a spending plan that she says benefits all parts of the city, including the continued creation of a "thriving business sector," establishment of "strong, safe and connected" neighborhoods, and the continued focus on "an energized downtown." 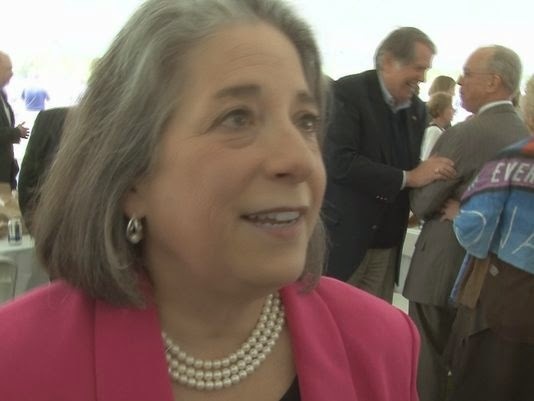 "This is a practical, responsible, strategic budget that focuses on real needs in our city, provides the reliable public services that you expect and responsibly addresses infrastructure replacement and maintenance," Rogero said during her presentation at Lakeshore Park in West Knoxville in front of hundreds of local leaders and members of the community. She added: "It is also aspirational in that it proposes quality of life enhancements and drives quality redevelopment and private investment to make Knoxville an even greater city." The proposed budget focuses on a $206.4 million general fund, which covers much of the day-to-day operations. That's up about $5.9 million from the current general fund. Rogero, who is up for re-election this year but faces no announced challenger so far, is not proposing a tax increase. Last year, she raised the property tax rate by 34 cents per every $100 of assessed value, in part, to close a $10 million pension gap.